Someone asked Hassan Al Basri:"What is the secret of your piety?" 1. I understood my rizq cannot be taken by anyone, so my heart is contented..
2. I understood no one can do my actions (worship) so I started doing them myself. 3. I understood Allaah Ta'ala is watching me, so I feel ashamed to do wrong. 4. I understood death is waiting for me, so I started to prepare for my meeting with Allaah Ta'ala. I believe *Islam* (external aspect of faith) is incomplete without *Imaan* (internal aspect of faith) and *Ihsaan* (social aspect of faith). As Muslims we seem to care only about performing religious Obligations/Rituals/Sunnah (prayer, fasting, niqab, beards, etc), reading the Qur’an and the Hadiths, but we don't practice what many other things our beloved prophet (SAW) did 1400 years ago. We listen to religious lessons and sermons more than the other people on the face of the earth, but we are still not the best of Nations. In the last 60 years, we have listened to 3,000 Friday sermons. Religion should not be reduced to Prayer and Fasting only which is 1/4th of total islam. Islam is a total way of life and it is about how we treat others (the other 3/4th of total islam). We should not judge a person based on how he performs religious obligations for he might be a hypocrite.He/ she maybe showing off . Similarly,we should not judge a PERSON BY HIS/HER UNISLAMIC APPEARANCE, he /she might have a link with his/her creator that you don't know about.He/she might have a heart that is tons better than yours.Only Allah knows and only Allah is the final word. The Prophet said If a man purchases a cloth with ten dirhams and if one dirham out of them is unlawful, his prayer will not be accepted till a portion of that cloth remains in his body. Allah key aakhri nabi Mohammed (sallallahu alaihi wasallam) ney farmaya: ““Jis aadmi ka badan haraam rozi sey palta hai, aise badan key liye Jahannam zyaada behtar hai.”. Hazrath Anas [radhiallaahu anhu] reports that Rasulullah [صلى الله عليه وسلم] has said: "It is a bounded duty upon every Muslirn to earn a halaal livelihood." "There are 70 parts of Ibadat. The best part of it is that of earning in a Halaal way, the best action is to work and earn livelihood by Halaal means. If a person earns by Halaal means then he will get the Thawab equal to the Prophets (A) on the day of Qiyamat." 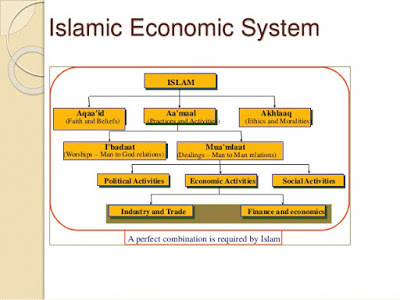 The Shariah of Islam encourages Trade. There are 10 parts of earning, out of which 9 parts are in business. However, the Imams (A) always said that a person engaging in trade must know its Masails to avoid falling into sinning.